A single-acting actuating cylinder consist of a cylinder bore with a fluid port, a piston and rod assembly, an external load, and an O-ring seal. 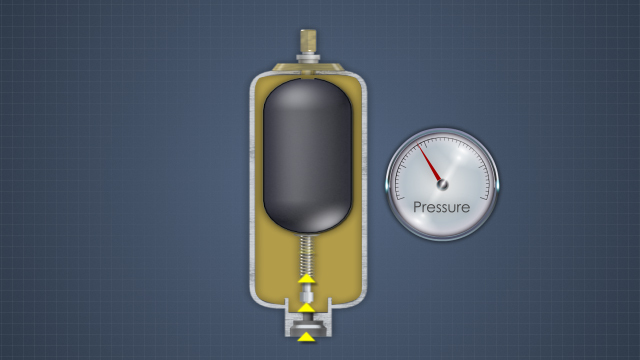 A bladder accumulator operates on the same principle of pressure exchange as a diaphram accumulator. 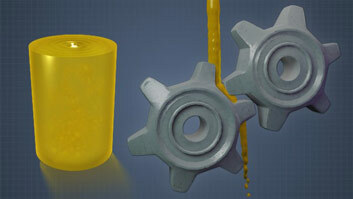 Heating hydraulic fluid reduces pump wear, cavitation, and seal failure. In a hydraulic system, pressure applied anywhere to a contained, incompressible fluid is transmitted undiminished throughout the fluid. 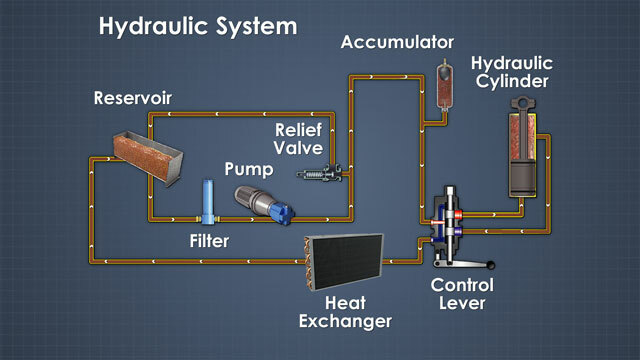 This course covers the purpose and function of the major equipment used in a typical hydraulic system. Hydraulic pumps displace fluids by applying mechanical force to fluids through the use of gears, screws, pistons, impellers, or vanes. What is a hydraulic actuating cylinder? A hydraulic actuating cylinder is a device actuated by hydraulic pressure, typically extending and retracting a piston to open and close a valve or operate an electrical switch in an industrial process. 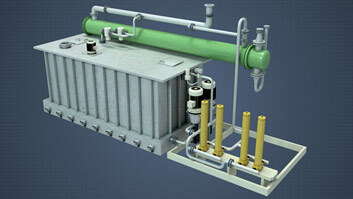 What are the different types of hydraulic accumulators? Accumulators are divided into types according to the means used to separate the gas and fluid chambers; these are the diaphragm, bladder, and piston accumulators. What's the point of heating hydraulic fluid? 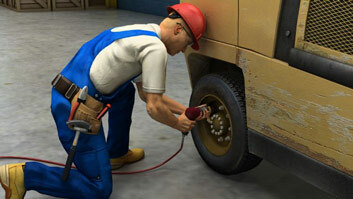 Heating hydraulic fluid prior to operating equipment reduces pump wear, cavitation, and seal failure. 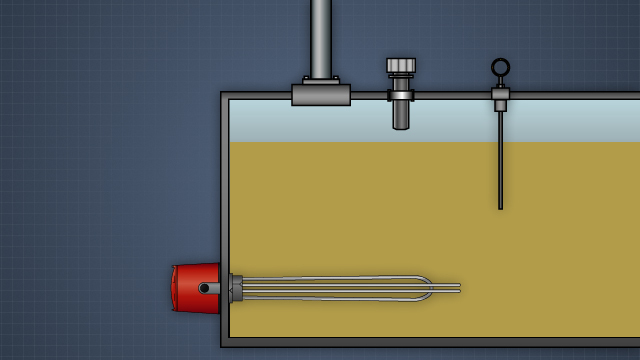 What happens when hydraulic filters become clogged? 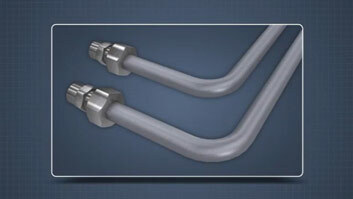 In most systems, if the pressure difference across the filter becomes too high, a bypass valve will open. 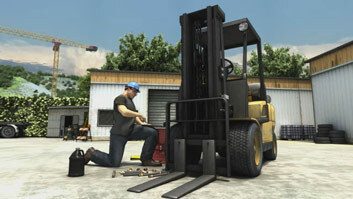 In many systems this activates an indicator alerting the operator that the filter needs attention. Double acting actuating cylinders push and pull. They contain a cylinder bore with fluid ports at each end and a piston and rod assembly extending through one end of the cylinder. Pressure from fluid entering through port A, causes the piston to move in one direction and this forces the fluid on the opposite side of the piston, out through port B. 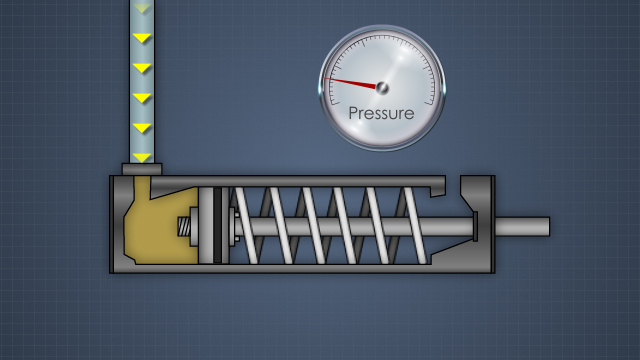 When pressure is changed and applied from fluid entering the cylinder bore through B, the piston and rod move in the opposite direction, forcing the fluid in the other chamber, out through port A. A selector valve is usually used to control a double acting actuating cylinder.